Let’s start off as usual with the contents. 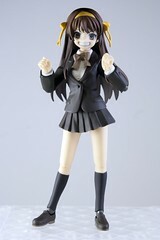 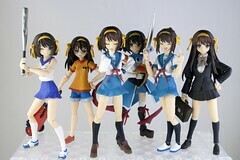 This alternate universe version of Haruhi comes with a total of 12 bonus hands. 2 standard hands with the fingers spread, 2 palms, 2 closed fists, 2 pointing fingers, 2 old-style accessory hands (where the fingers meet the thumb to form a complete hole) and 2 newer accessory hands so that you can slip the handle of her included bookback into it. 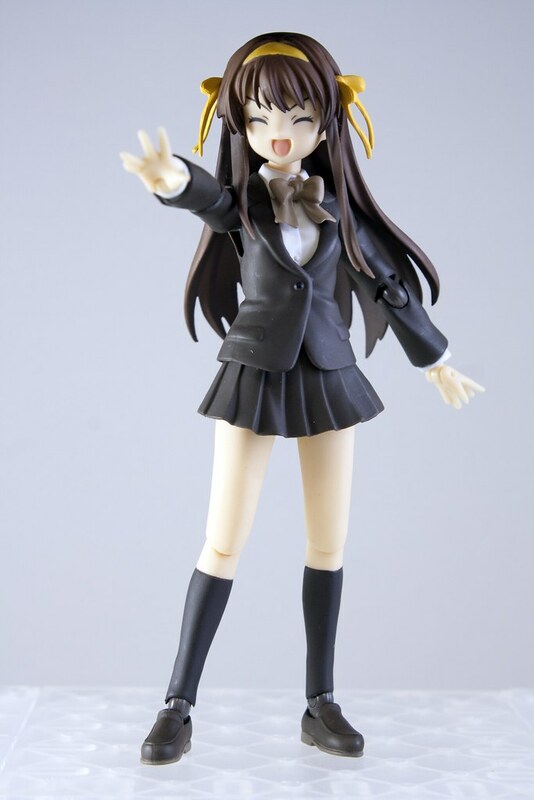 She also comes with a stand accessory in white, which is somewhat of a necessity if you plan to use the stand since her hair will get in the way. 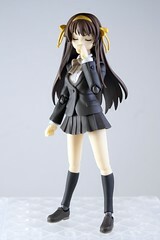 Haruhi also comes with yet another short hair Haruhi head and a bonus sleeping face. 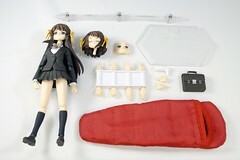 She also comes with a sleeping bag, which your standard Haruhi figma will fit inside. Also included is a bonus face for figma 001 Nagato Yuki, to transform her into her moe alternate universe self from the movie. As it has been with all other previous versions of Haruhi, the face mold was built exactly like the face mold of the original SP-001 Chouyuusha Haruhi, so they can all share faces. 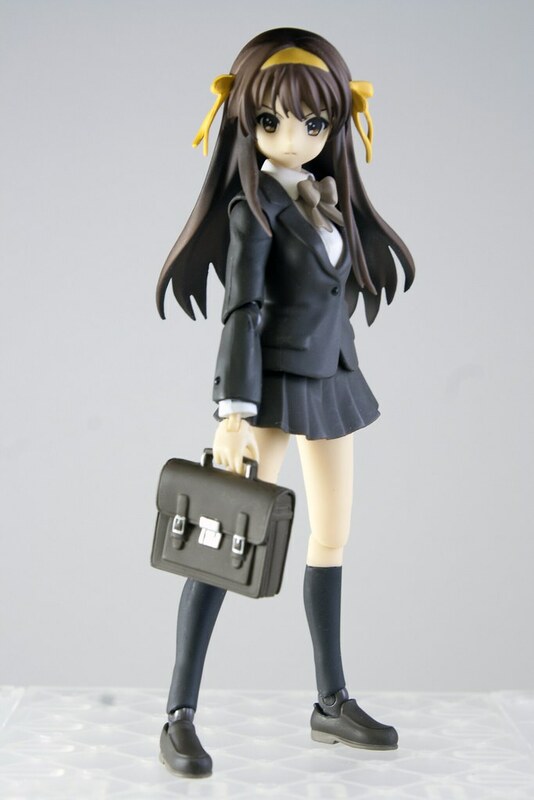 This gives you many more options with regards to Haruhi expressing herself in this form, as you don’t get to see this version of her for very long before the story moves you right along. The fact that you get an extra face for Nagato is just icing on the already incredibly well done cake. 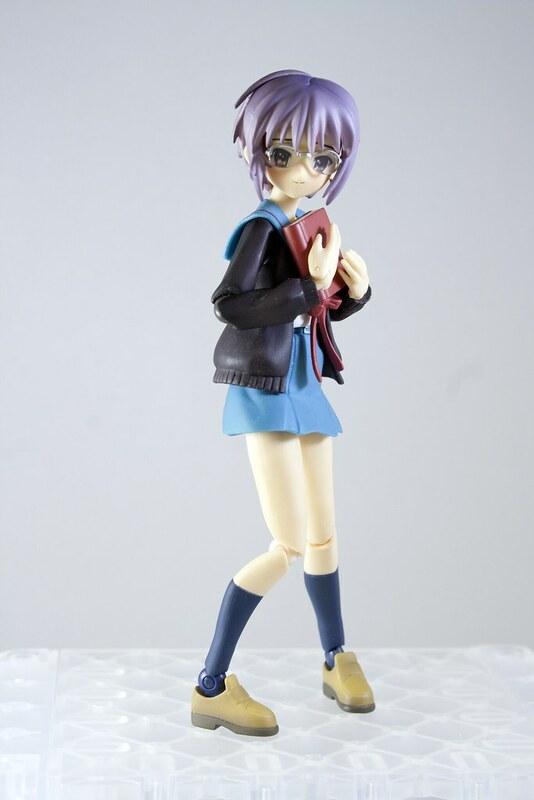 The expression from that face alone drastically changes Nagato’s expression, as you can tell above. 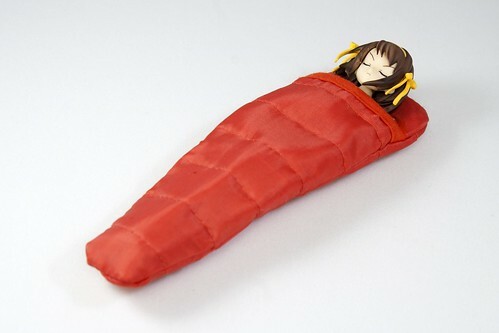 Cons: Sleeping bag. 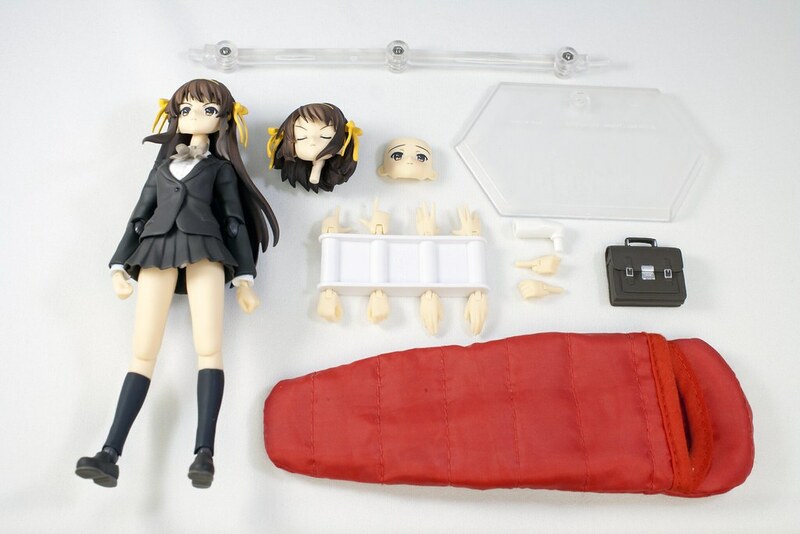 Yes, we know Haruhi shows up in a sleeping bag in the movie for all of a minute and a half which results in some mild hilarity, but come on, guys. 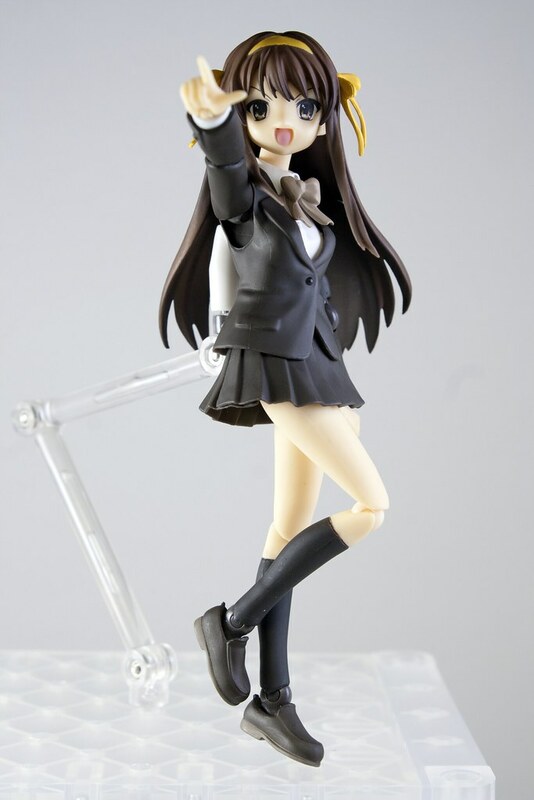 You could’ve at least given us a ponytail head instead of yet another short hair head! 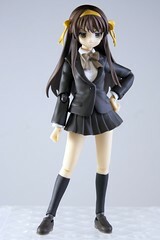 In fact, I would’ve paid more had you replaced both the bonus head and the sleeping bag with a ponytail head! 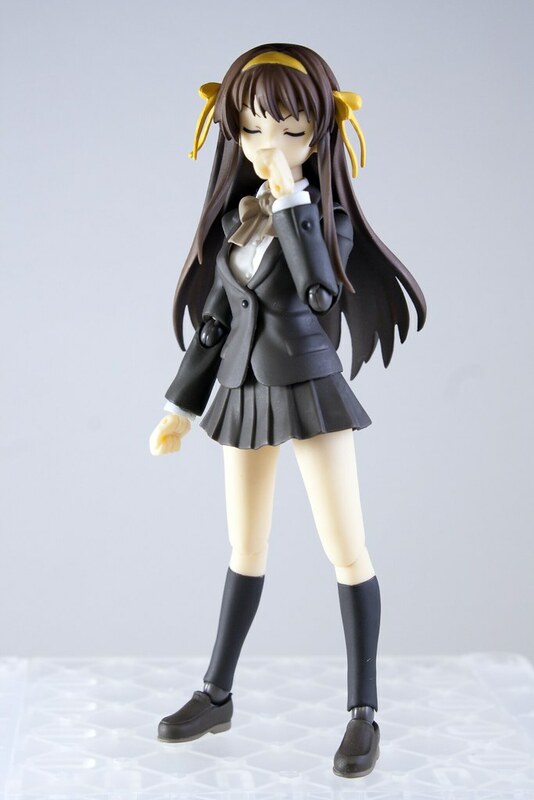 But then again, I’m a sucker for a nice ponytail. 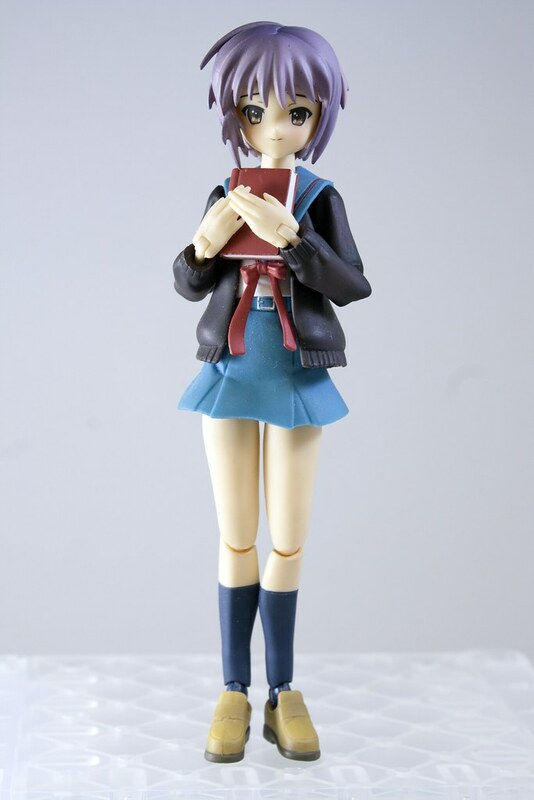 Also, the sculpt for the bonus accessory hands for her bookbag were built with a little too much space between the fingers and the thumb, so if you don’t position it properly, the bookbag will tend to slip out and fall to the floor sometimes. 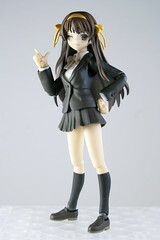 nice im planning in buying this!!! !